Built in the second half of the nineteenth century, on the edge of Santa Rosa Valley, Finca Kenia (also known as La Casona) is one of the oldest houses in Trinidad. It offers a home from home in a delightfully, rustic and unexplored area of Trinidad. There are eight well thought out rooms, decorated with local art and small terrace areas for each one. The large garden, and back yard look out on the ruins of a colonial fort. It's worth booking to dine at the guesthouse on one of the nights during your stay. Kenia's kitchen uses vegetables and salad grown in their own organic gardens. Please note, due to water shortages, the pool at Finca Kenia is usually out of order as small hotels are not permitted by the government to fill them. 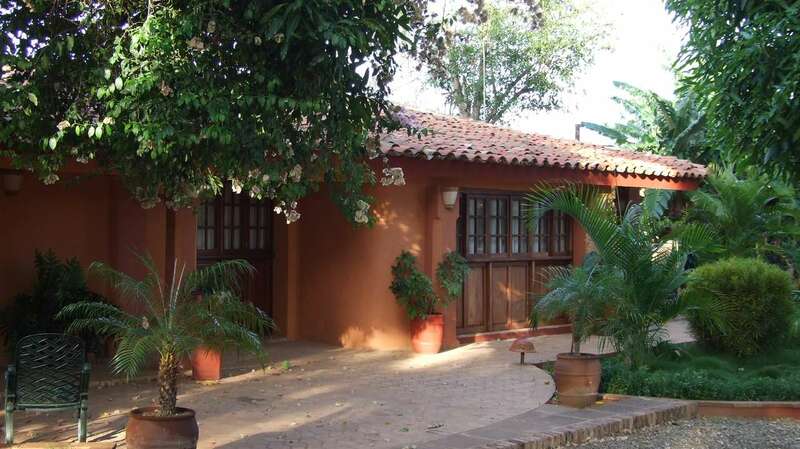 Finca Kenia is situated on the edge of the soulful colonial town of Trinidad. For its historic grandeur, friendly welcome, large garden and stylish rooms.